I AM HEATH LEDGER is a feature length documentary celebrating the life of Heath Ledger: actor, artist and icon. 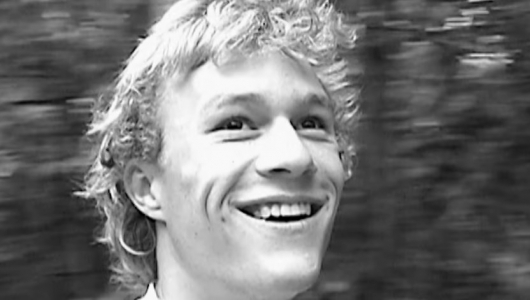 The documentary provides an intimate look at Heath Ledger through the lens of his own camera as he films and often performs in his own personal journey – extravagant in gesture and in action. It was his creative energy and unshakable willingness to take risks that instilled such an extraordinarily deep love and affection in the people that entered his life. Heath’s artistic nature and expression set him apart from the Hollywood mainstream, vaulted him to stardom and endeared him to the world. I Am Heath Ledger will first premiere at the Tribeca Film Festival on April 23rd. It will then be released in limited theaters on May 3rd, before finally making its television premiere on Spike TV on May 17th. Spike original documentary series “I Am” is an inside look at the lives of extraordinary individuals as told by their inner-circles.